Today I have a product review for you, and I waited so long and hard to get my hands on this. What is this mystery product I hear you say, well if the post title hasn't given it away, then I'll tell you now- the MUA Lip Boom in O.M.G. 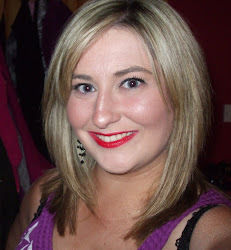 The Lip Boom is not yet available in stores like Superdrug but you can order it online from www.muastore.co.uk. It retails at £3. The product is heavenly endorsed by Alexandra Burke. The concept is pretty simple- on one side you have a matte lipstick and the other side you have a sparkly gloss in a similar or complementary colour. This product is marketed as a '4in1' and the uses for it are outlined below. There are eight colour combinations available on the website but I chose O.M.G. which is a gorgeous orangey/pinky coral matte lipstick and a light coral glittery gloss speckled with fine gold glitter. The lipstick is so incredibly packed with pigmentation, it smells divine and applies like a dream. I like matte lipsticks but the advantage of the Lip Boom is that you can use the gloss to make the lipstick shiny if you wish. The lipstick applies evenly and fades evenly and usually lasts me approx 4 hours without reapply, and like the other MUA lipsticks I have, it fades evenly to leave a tint, it doesn't leave a rim which is always a bonus. I am more of a lipstick than a lipgloss girl- I love a pop of colour- so I can't see myself using the gloss part of this on it's own all too often. I tried it on and it's very sheer and I didn't find the glitter to be chunky or stick. The lip gloss comes with a doe foot applicator which is my applicator of choice. The lipstick smells really good but it doesn't leave an overpowering taste on your lips. Because the lipstick is matte, it may highlight dry lips, but my lips have been nice and moisturised over last few weeks so I can't really say. I don't think it would be too bad because it's kind of a creamy matte and not a dry matte- nothing that a pre-coat of Carmex or Vaseline wouldn't fix I think. It takes two swatches to make it opaque so you could easily go for a more sheer look if that tickles your fancy. I just included some swatches of other MUA lipsticks from the ordinary £1 line so you can see how bright the lipstick side of the Lip Boom is- on the left hand side you have the Lip Boom colours and on the right hand side I have swatched Juicy and Nectar. As you can see, it's quite similar to Juicy- however, Juicy is a slightly lighter pink than O.M.G.These three colours are most definitely going to be staples of my summer make up collection, I love them. I love this Lip Boom- but maybe not for the reasons everybody else loves it. I adore the coral colour of this lipstick- I think it's just perfect for summer- and I love corals. I would definitely repurchase this. I don't know if I will personally take advantage of the 4 in 1 multi-functionality of the Lip Booms but, honestly, I love having the option, and I don't think the lip gloss on the end of the product makes it any more cumbersome. I think I would reserve a lipstick/lip gloss combo for special occasions like nights out. The lipstick alone in this is worth the price of the product in my eyes, anything else is just a bonus! If you love pink/peach/coral lipsticks, you need this in your collection!